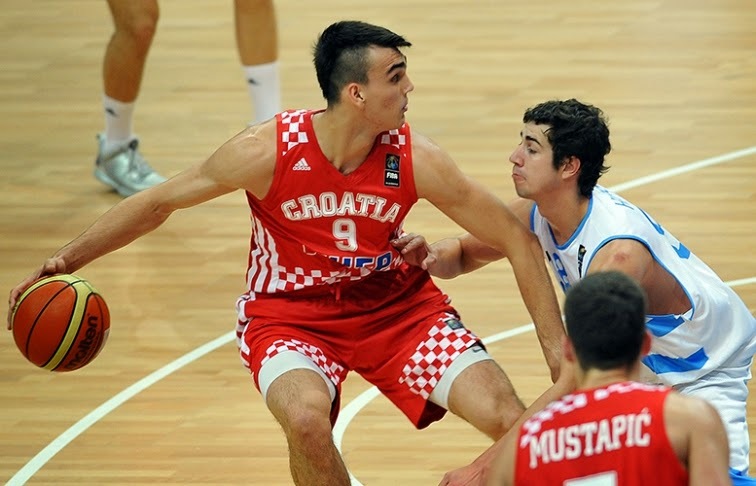 The Hoop: Dario Saric to play for Anadolu Efes? The deal will have a player option for the third year. Saric is expected to receive and sign a contract in the next 24 hours. The move will essentially prohibit Saric from playing in the NBA for a minimum of two years, the source added. Saric was widely considered a top-10 prospect by the majority of teams in the NBA. He averaged 19.3 points, 9.3 rebounds and 3.8 assists per game for Cibona in the Adriatic League this year. NBA sources say that Saric's decision to stay in Europe will affect his draft stock. He was getting looks as high as the 76ers at No. 10, the Nuggets at 11 and the Magic at 12. However, because he's unlikely to come to the NBA for at least two years, those teams are now hesitating to draft him that high. However, it's possible that Saric won't slide too far. Sources say the Hawks at 15, the Celtics at 17, the Suns at 18 and the Bulls at 19 are all looking at Saric and are more comfortable drafting him and keeping him in Europe for the next two seasons. The Celtics, Suns and Bulls all have multiple picks in this year's draft.